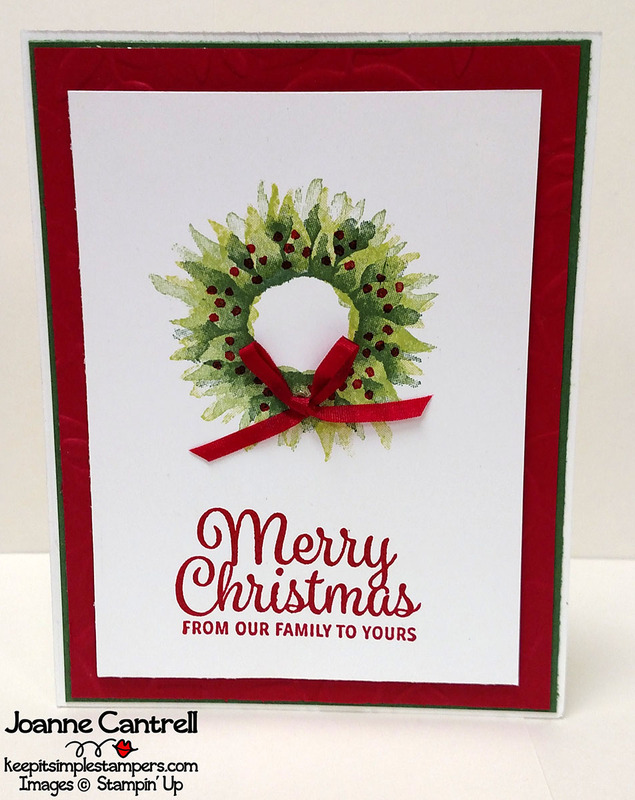 Welcome to the Holiday Catalog Product Spotlight Blog Hop! 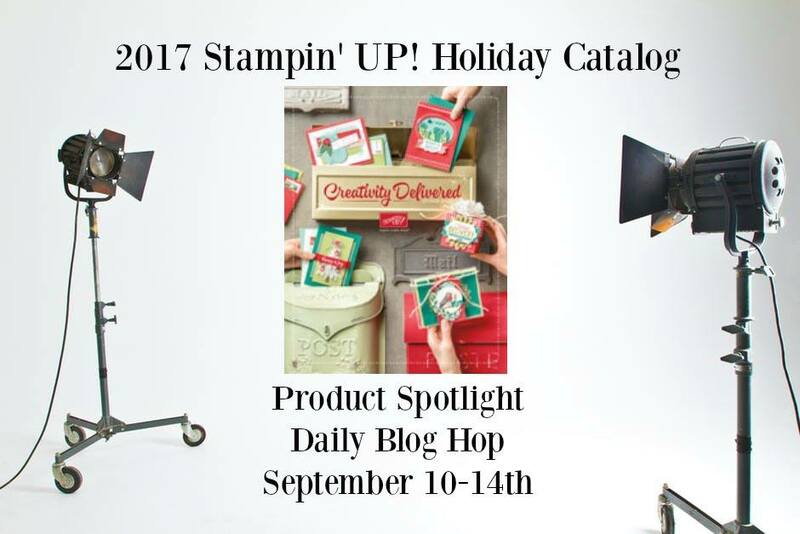 I am excited to have hopping through these pages to see the versatility of the products available in the 2017 Holiday Catalog. This Blog Hop features bloggers from all over the world. The first product we would like to direct your attention to is the PAINTED HARVEST Photopolymer Stamp Set (144783). 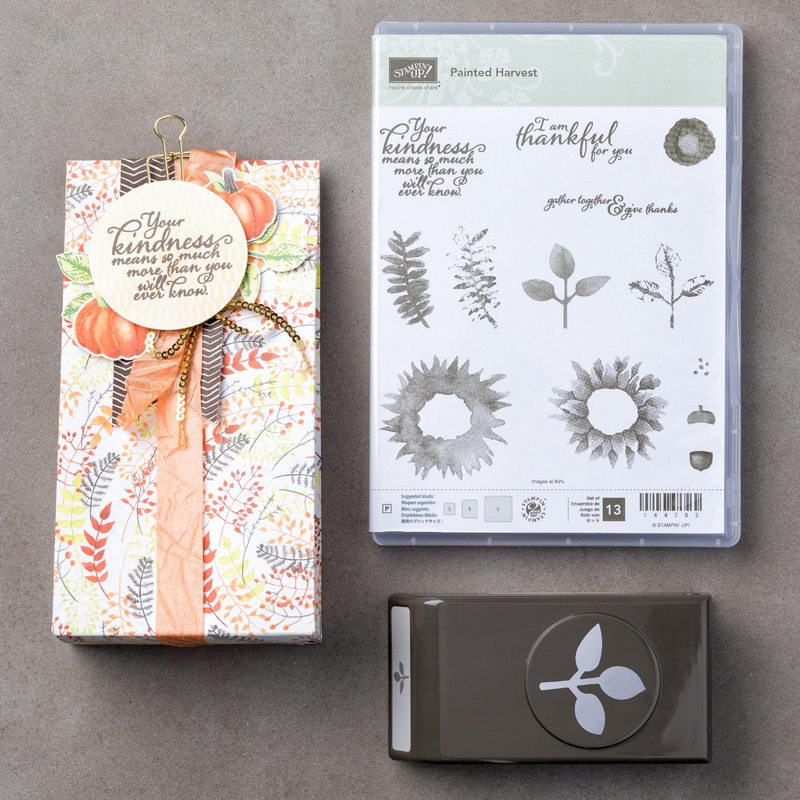 It is really a quite spectacular stamp set that has more uses than you would think upon first glance. Here is what I have crafted using this set. I honestly cannot tell you who created this set. It was a “make-n-take” that we did at a recent demonstrator event. Don’t you just love that acetate box! It can hold 5 embellished cards and envelopes. Here is an close up of each of the cards as well as the box. 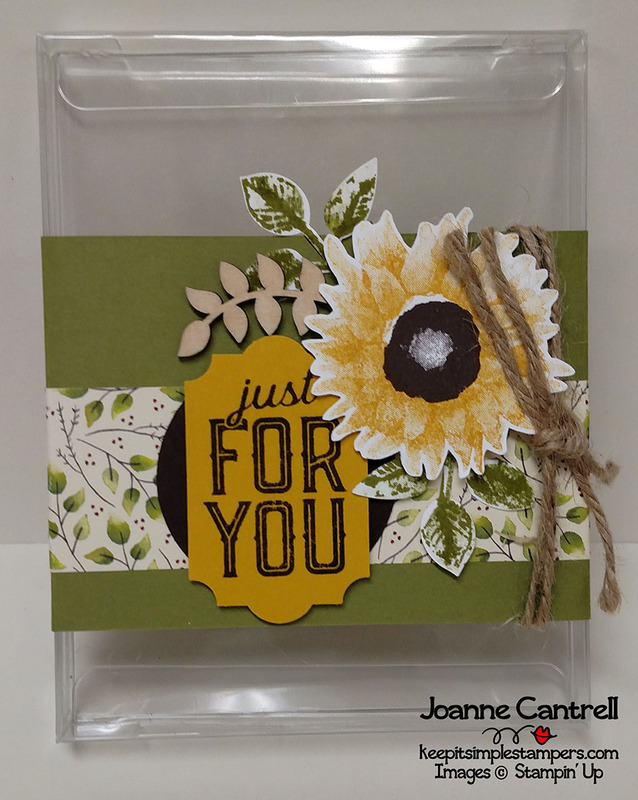 The sentiments come from Painted Harvest as well as Merry Little Labels. They also show off that beautiful designer series paper! This next card was designed by Carol Payne. It was part of our “shoebox swap” we did at our last team meeting. It’s one of the great things about being part of a team of demonstrators. 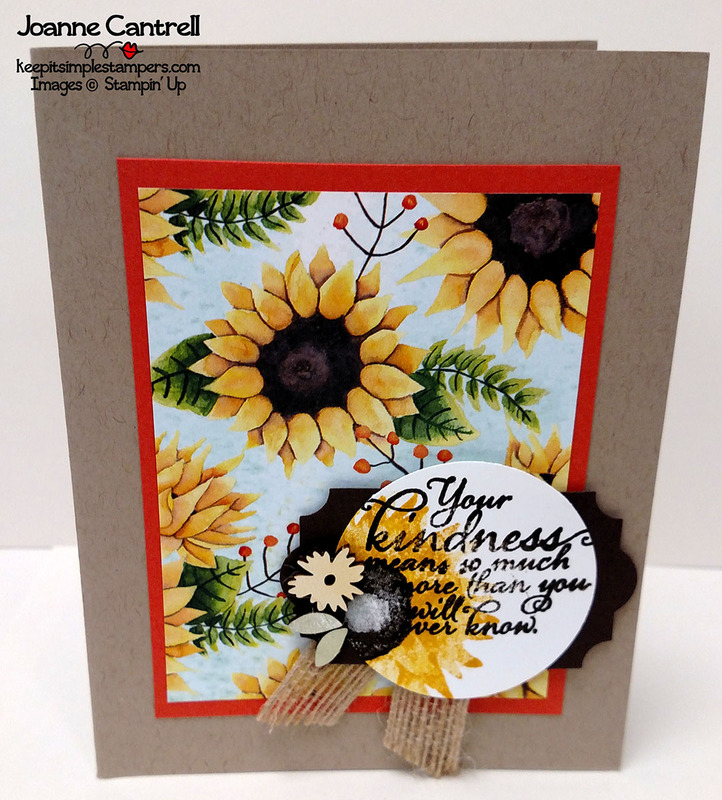 Stampin’ together is such fun! What is simple about this card is that there is not punching or cutting. It is just some masking and stamping. The background was double embossed. 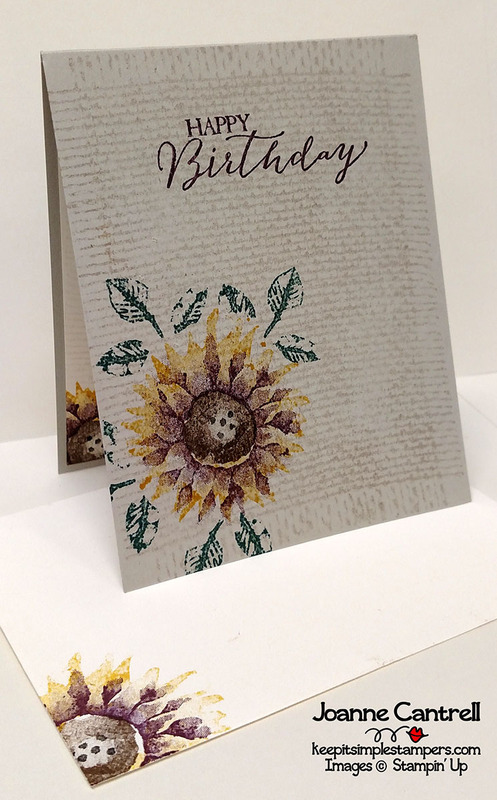 First, I put some VersMark ink on the Layered Leaves Dynamic Textured Impression Embossing Folder (143704) and ran it thru the Big Shot. 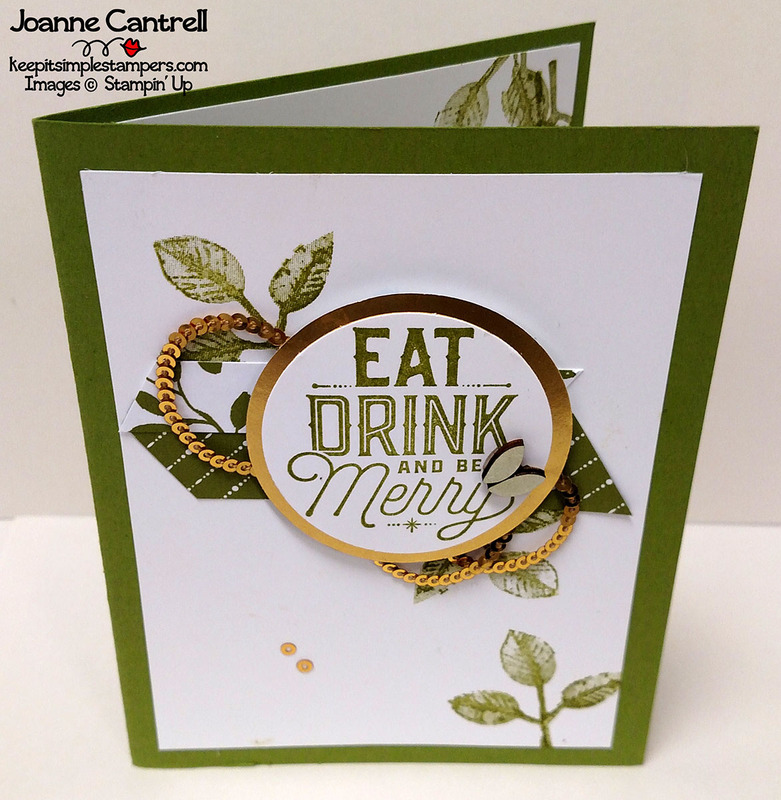 I then used copper embossing powder and set it with the heat tool. It adds a bit of rustic fun! Did you ever think that flower could make a gorgeous wreath? I layered different greens to create this effect. On the large flower, I used Lemon Lime Twist then Wild Wasabi. Then, I used Garden green to stamp the smaller flower. 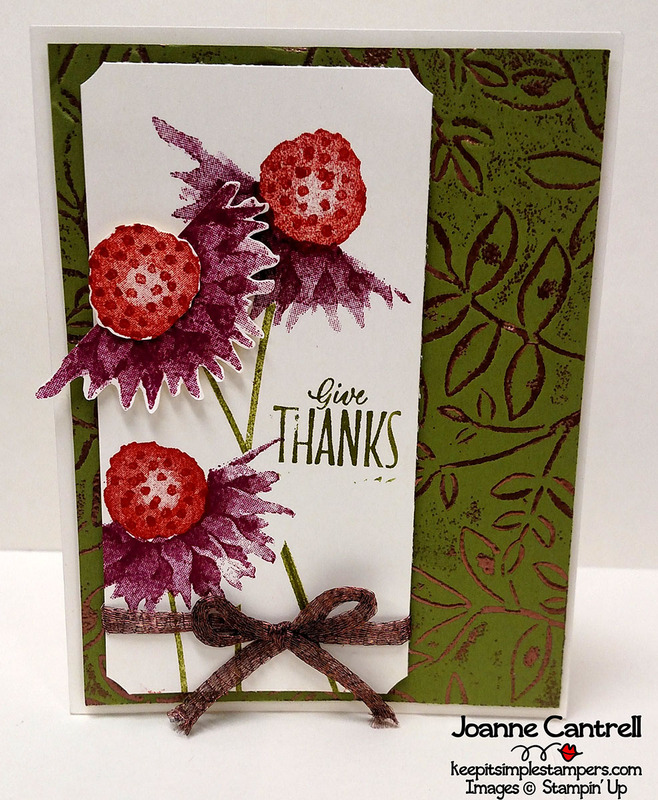 I used the dots image and stamped in Real Red… Then I quickly put clear embossing powder and set it to create a little shine to the berries. I did the same with the sentiment that came from the Snowflake Sentiment stamp set (144817/144820). Now, I am not the first one to see these cute little hedgehogs in the stamps… but oh my… are they not the cutest! I stamped them in Crumb Cake, Soft Suede, and Early Espresso. I wonder what other things are hidden in this set, don’t you? Oh my goodness. over the top amazing samples. I want to run right to my craft room and play. Thank you for the inspiration. Great projects! This set is so versatile. What a great selection of cards showing the versatility of this set. Love the little hedgehogs. Wow! 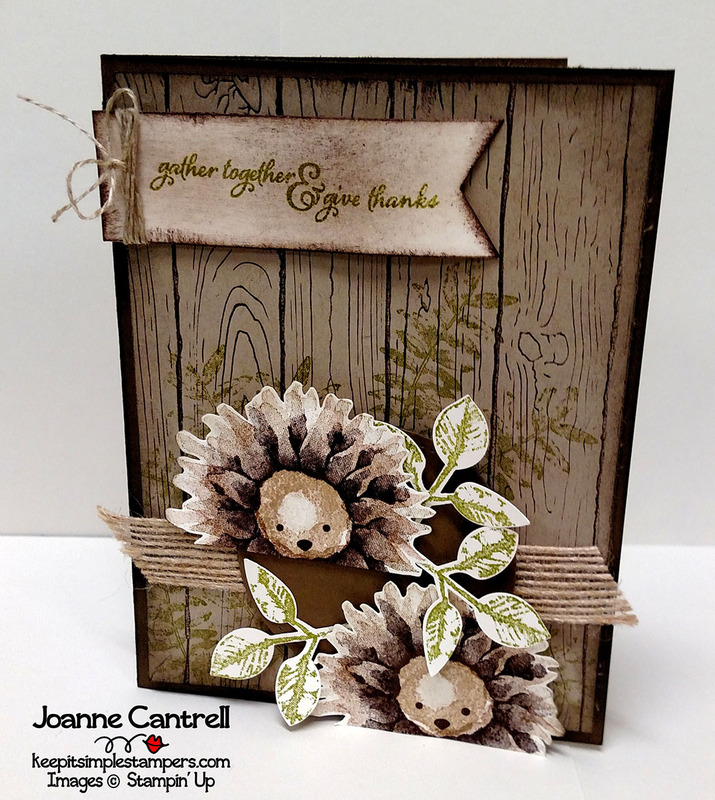 You made some beautiful cards with this set, Joanne! They’re all so gorgeous!